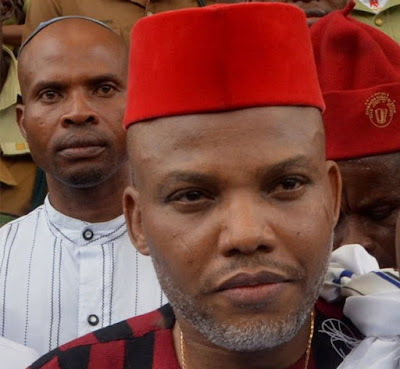 The self-acclaimed leader of the outlawed Indigenous People of Biafra (IPOB), Nnamdi Kanu, has vowed to expose the ‘dirty work’ of the Nigerian ruling cabal. Kanu, who resurfaced in Jerusalem, Israel on October 19 after the military invasion of his community in Abia state, made this vow on the micro-blogging site, Twitter on Friday. Kanu’s vow is coming two days after he presented Biafra struggle for independence to Israeli academia at Tel Aviv University. “Today I presented the Biafra struggle for independence to Israeli academia at the prestigious Tel Aviv University. A free Biafra will benefit Israel and promote global peace. Glad to meet Harry Rozenberg. May Elohim, Chukwu Okike Abiama bless #Israel and #Biafra,” Kanu had tweeted.